Do You Know How Your Workplace Relationships Are Affecting You? Could Your Employees Be At Risk for Heart Disease? Want a Healthier Heart? Eat These Heart-Healthy Foods! Is the Food at Your Office Sabotaging Employee Health? Could a Digital Detox Improve Your Health? How Can You Succeed at Employee Wellness? How Late is Too Late to Get Flu Shots at Work? The Flu vs. The Flu Shot: Which Side Will You Pick this Flu Season? When Should You Start Talking About Corporate Flu Shot Clinics? ROI vs. VOI: Which is Better for Evaluating Your Wellness Program? Why Do We Choose Positivity For Our Biometric Screenings? Have You Done a Mid-Year Checkup for Your Wellness Program? Should You Simplify Your Corporate Wellness Program? Fingerstick or Blood Draw at Your Biometric Screening? Can Corporate Wellness Be Your Competitive Advantage? Does Your Employee Wellness Program Need Some Spring Cleaning? Participation vs. Engagement. What Truly Drives Success in Your Corporate Wellness Program? Flu Myth: Can the Flu Shot Make You Sick? Are Employee Biometric Screenings Legal? 5 Reasons Your Flu Shot "Didn't Work"
How Do U.S. Corporate Wellness Programs Compare with the Rest of the World? Should Flu Shots Be Mandatory for Health Care Workers? Who's Responsible for Workplace Wellness? Explore a New Approach to Eating on "No Diet Day"
What Kind of Flu Shot Should You Get This Year? Local Fruits & Veggies Delivered Straight to the Office? Sign Us Up! Get Moving on National Walk to Work Day! Notes on a Conference: What Works Best in Health Promotion? The Rankings Game: How Do Your Employees’ Health Stats Measure Up? Stale Wellness Program Got You Down? 6 Tips to Spice it Up! Biometric Screening Prices: How Much is it Really Going to Cost? Is Your Biometric Screening Missing This Key Health Measure? Have we let our guard down about the flu? Corporate Biometric Screenings Done. Now what? Worksite Nicotine Testing: Is it Worth it? 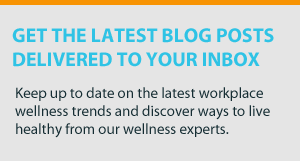 Is Workplace Wellness the New HR Flavor of the Month? When is the Best Time for Biometric Screenings? Who Says You Can't Have a Little Fun with Company Flu Shots?